Call Julian DeGuzman’s dad Joe something of a visionary. When Julian was growing up in Alameda, Joe spent many hours, days and years driving his son around to dance class after dance class. Ballet in Castro Valley. Tap in San Francisco. Gymnastics at UC Berkeley. Transmissions were not safe in a DeGuzman family car. Unfortunately, while DeGuzman was cutting his teeth honing his talents in the dance world, other peers were not exactly kind and understanding of a kid who’d rather wear ballet slippers than baseball cleats. DeGuzman was unable to simply dance like no one was watching. In multiple strokes of bad luck, the bullies were watching. And those bullies, threatened by the perception of what a young male dancer is, made life pretty difficult. Joe’s guidance as his son dealt with the cruel side of adolescence is something that had a powerful effect on the younger DeGuzman, who recalls a particular moment that changed his life forever. 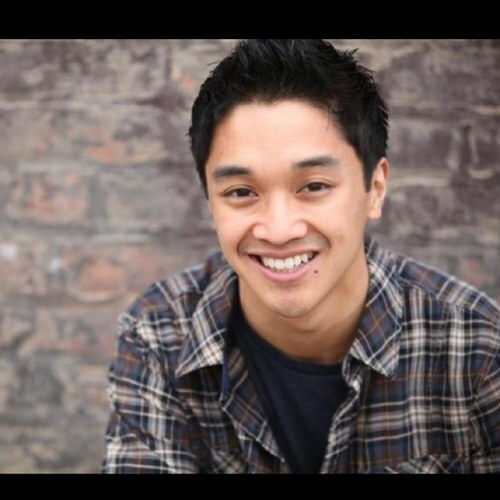 Broadway finally happened two years ago, with DeGuzman having landed a coveted role in the Disney Broadway blockbuster and eight time Tony winner “Newsies,” which dramatizes the events of the New York City news boys strike of 1899. DeGuzman’s job was that of a swing, requiring him to know 14 different roles and be ready to perform any one of them in a moment’s notice, sometimes literally minutes before curtain. A little source of pride for DeGuzman was actually covering all 14 roles, the fastest in the cast to do so. 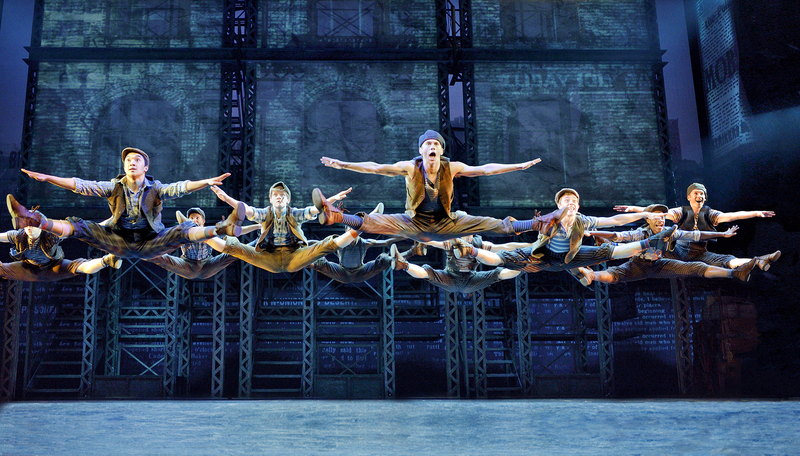 Now that the national tour is in full swing, it’s especially special because DeGuzman is returning to the place where it all started for him – the Bay Area, performing as an ensemble member in the SHNSF production of “Newsies,” which opens Feb. 18th at the Orpheum Theatre. DeGuzman’s father heavily influenced his passion. While many of DeGuzman’s peers were heading off to sports practices, DeGuzman would go in an opposite direction, to a ballet studio to work on demi-plies and pirouettes. That was when he found more friends who accepted and were even awed by his talent. “I would do random little tricks and flips in front of my friends, and they would respond with things like, ‘Wow, that’s cool,’” said DeGuzman. “It really boosted my self esteem. That self esteem boost guided him through a Bachelor of Fine Arts program at UC Irvine after graduating in 2005 from St. Joseph Notre Dame High School in Alameda. After an amazing run of competitions throughout the Bay Area in his younger years, all the training in the world was unable to prepare him for the most difficult performance he would have to endure. Those same legs that shaped his youth and his career were now threatening to shut him down for good. A cancerous bone tumor in his left femur head was found in college. After some difficulties with his insurance, a surgery removed the tumor. Yet, not long after college graduation the tumor returned, and a second surgery commenced. But after that second surgery, the doctor had a question for him. Every day of that grueling rehab brought forth a new challenge to deal with, mostly in the organ that resides between the ears. With cancer firmly in his rear view mirror, DeGuzman is thrilled to be able to simply dance, but this time, like everyone is watching. And to return home to the Bay Area and take his place atop the Orpheum Theatre stage is a tribute to those who believed in him all the way. “Every time I step on the stage, it’s for everybody who is a part of my life and helped me reach this point,” said DeGuzman. “There have been people with me every step of the way, whether it be friends from school or dance teachers who stayed up with me late in a studio rehearsing dance solos.